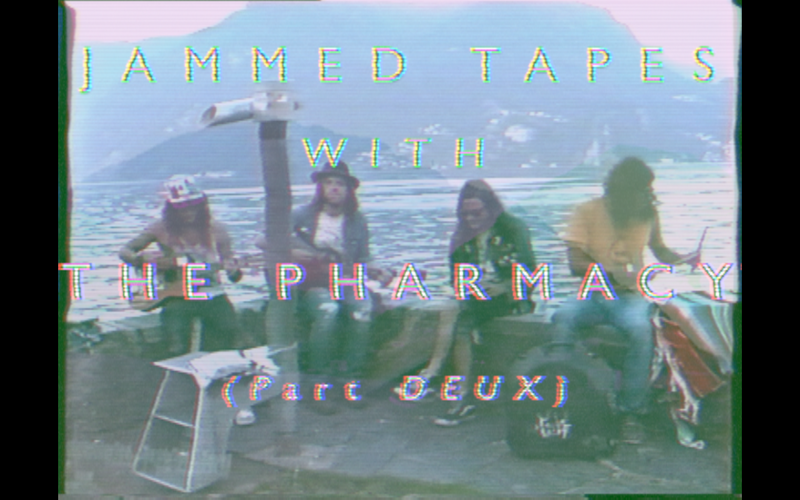 ::: JAMMED TAPES SESSION ::: THE PHARMACY (Part DEUX) – IS YOUR CLAM IN A JAM? As you will know from the last post, I met up with The Pharmacy in Lugano at the Buskers Festival as they were finishing up their European Tour. Little did I, or anyone for that matter, know that this would be the last time the band would grace European soil together: as announced last week on the band’s Facebook page, after 10+ years of activity they have decided to call it quits. “Just wanted to let everyone know that we really appreciate you all that have been with us. If it was just that you came out to a show when we first started at The Crux on Vashon. Or if we played for you on a lake in Switzerland on this last tour. We’ve been doing this for almost half of our lives. Touring and recording and connecting with you all in many different ways. From the bottom of our hearts we all still feel so grateful to you for supporting us. It’s never been in our nature to shy away from challenges or seemingly impossible situations. We’ve put so much of ourselves into this band. Today, the day that their now “posthumous” album, Spells comes out, Is Your Clam In A Jam? salutes the relentless Seattle garage punks turned psych dreamers with the last two videos we filmed together in Lugano, which may be the last session ever recorded by the band. On Anna Bella, the whole band gets together on a tripped out love song while on Lizard Queen frontman Scott Yoder channels a 70s Laurel Canyon vibe over a dreamy tale of faraway lands. Enjoy the videos below and go get the now very limited Spells until you can. Pingback: NOT NECESSARILY STONED, BUT BEAUTIFUL. | IS YOUR CLAM IN A JAM?